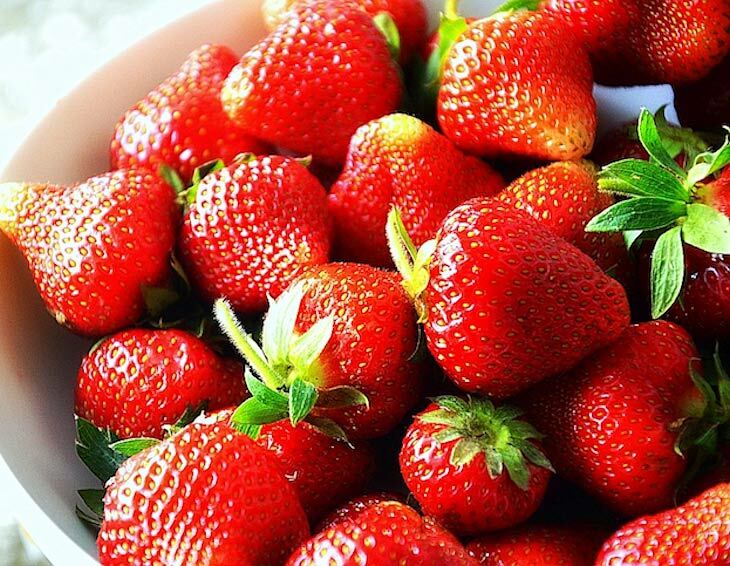 Strawberries are absolutely delicious, but they tend not to have that long of a shelf life. We often find ourselves trying to eat them or use them up as quickly as possible before they go bad! But did you know that you can extend the lifespan of your strawberries with a simple trick? Farmers and even just those who love fruit have found an easy hack that keeps strawberries staying fresh, juicy, and bright for much longer! It can allow these berries to last for weeks to come. So grab your container of strawberries and gather some materials. You’ll need a large bowl and a colander (or a salad spinner), some drinking water, some white vinegar, and a few paper towels. First, mix five parts of the drinking water and one part of your white vinegar in the big bowl you’ve prepared. Make sure both components are well combined, then tip your strawberries into the bowl. Leave them to soak and sit for up to five minutes. While they’re soaking, take your colander or salad spinner and line it with paper towels. 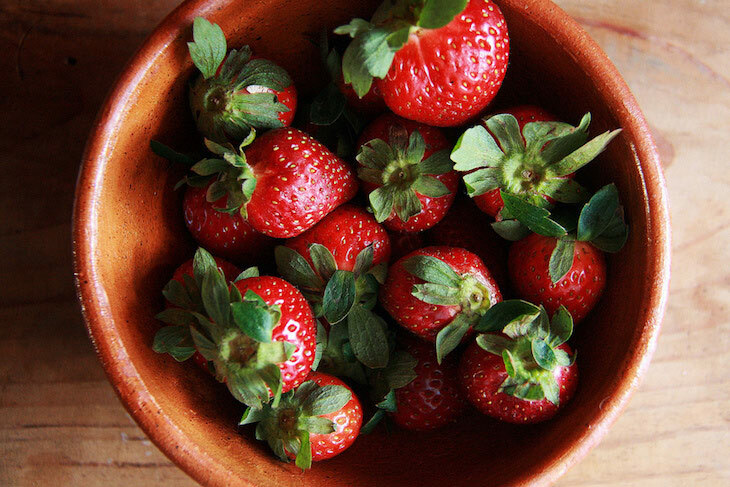 Once five minutes are up, take the strawberries out of the white vinegar solution and gently put them into the salad spinner or colander and leave to dry. While the berries are drying, line a food container with paper towels, too. Let the berries dry completely, then move them into that food container. You can now store the strawberries inside this container. Put them in the fridge and enjoy long-lasting strawberries! Don’t worry, you won’t be able to taste any of the vinegar as long as you allow the strawberries to fully dry before storing them. Now that you know how to properly keep your strawberries fresh for weeks, learn how to arrange them best with this trick in the following video!